This intake kit replaces your restrictive factory air box. It features a 1.6mm powder-coated steel heatshield that blocks hot air from entering the filter. Stage 2 intake kits also feature a heat-resistant plastic-molded intake tube that smooths airflow into the throttle body, improving airflow and throttle response. Each intake kit has a custom application-specific aFe filter. 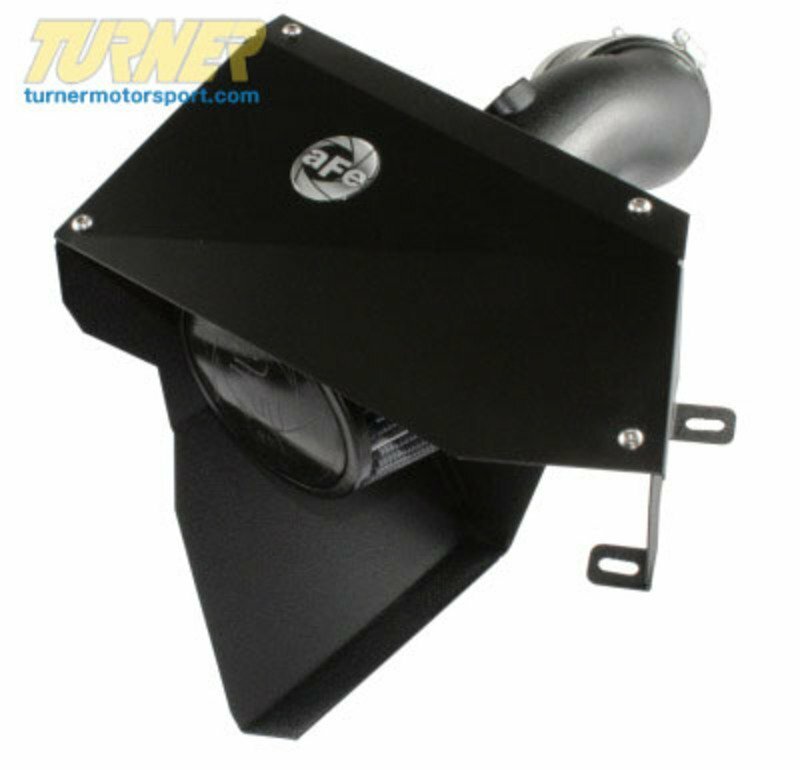 By removing your stock intake air box, you are removing the most restrictive portion of your intake system, increasing both horsepower and torque, improving acceleration and throttle response, and producing a more-aggressive engine note. aFe is among the first intake manufacturers to offer a dry filter option on their intake kits. The Pro Dry S filter in this intake kit has an oil-free filter media that flows better than stock paper filters but requires less maintenance than alternative oiled filters. For cleaning, the dry filters need only to be brushed off and cleaned with the approved aFe Restore Kit. For maximum power gains, we recommend the Pro 5 R oiled filters. The oiled filter will flow better but will need occassional re-oiling as part of a regular maintenance schedule.